We totally need to talk! It happened to me yet again yesterday. I was meeting with a person at a church about their need for design of the room acoustics, sound, video and lighting systems for their new worship center. They seemed unhurried about making such decisions, and mentioned that they would let their pastor know about it. As I dug deeper, I came to realize that they were much farther along in the building process than I first understood. Put it this way – the slab is poured, the steel is up, the outer shell is nearly complete, and they’ll start working on the interior next week. In fact, they hope to start moving into their new building in just about six weeks from now. When I heard that, my heart sank. Not for me, but for the church. 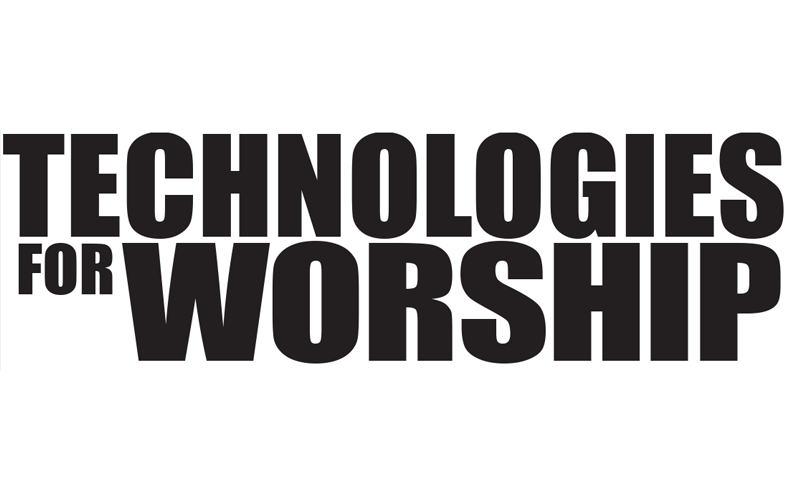 Any hope they might have had for technical excellence in their new worship center is lost. The only solutions left to them at this point are band-aid fixes. I wonder if they even thought of conduit and power for the AVL systems yet!? !The sad thing is that they are in this predicament not because they don’t care, but because they simply don’t know what’s involved. Even more troubling is the fact that I get similar phone calls from churches way too many times each year. That shouldn’t be. So let’s talk about it. Buying a sound system, or video projection system, or lighting system, just isn’t as simple as some want to believe. It’s not like you’re going to go out to your favorite discount store to buy a refrigerator, throw it in the back of your pickup and take it home with you. Well maybe you will. If your church only has let’s say 100 members, you could head for the local music store and load up the church van with gear that will get you by until your membership has grown a bit more. But once your church attendance grows to anything beyond about 200 people, you need to face the reality that your everyday store-bought gear just won’t give you the level of performance quality that you need. If you want technical excellence, and if you want performance systems that will equal the quality of the structure that you’re building that will bless your congregation rather than disappoint them, you would do well to seek out the design advice of a seasoned professional. How long did it take you to find the right architect to work with to design your new worship center? How long did it take you to find your general contractor? Unless they were members of your congregation, it probably took a while. Likewise, it takes time to find that seasoned AVL design professional. Most don’t bother with an ad in the Yellow Pages. You’ll find the best ones via word of mouth from satisfied customers. 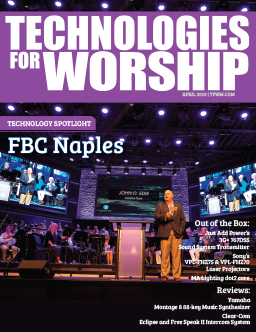 Just as it took your architect time to develop the plans for your new worship center, it will take time for any good AVL system designer to develop the plans for your new sound system, video projection system and lighting system. Remember also that it will take time to develop the design for proper room acoustics. And frankly, the design for the room acoustics should be done during the conceptual phase or schematic phase of the architect’s design process, because a good acoustician can help you save money on acoustic treatment products simply by guiding your architect on some simple techniques for room shaping. The usual response I hear at this point in the conversation is that “Oh, don’t worry about that, our architect knows all about acoustics and he’s giving us a great room!” Don’t be so sure. Most architects have little to no training in acoustics. How the room sounds is the least of their concerns. Their primary task and interest centers on how the building looks, how it functions, and to ensure that it meets all the related building codes. Good room acoustics is not even a remote concern in most architects’ design efforts. 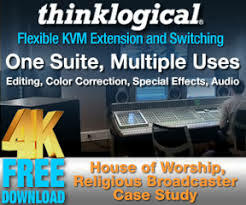 However good architects are very open and willing to work with a consulting acoustician to ensure that the room does sound good and provides a great worship experience. And if you get the two of them together early in the process, a good architect is very willing to incorporate those ideas. The later in the project that this topic is discussed, the more difficult it is to make changes and the more members of the design team those changes impact. There is also the time it takes for the sound, video and lighting systems to be designed. If you go with the “refrigerator in the back of the pickup truck” approach, you’re going to end up with what I refer to as the LAR (Looks About Right) approach to system design. In other words, you, or your friend who has a really great stereo in his home theatre, looks at the room, eyeballs it and says “you need one of these, two of those, and three of them over there.” I design AVL systems and acoustics for a living, and I can tell you that there are some very simple projects that I can design in a day or two, while others might take three or four weeks just for the initial design, and a large project with multiple rooms might take seven or eight months of grueling hard work, long hours, several allnighters, and working weekends from the first meeting to the final system drawings. Once the room acoustics are resolved, and the design of the AVL systems has been settled, then what? Then weFigure out whom you’re going to buy all this equipment from, and how it’s going to get installed. But you need to understand that, once the equipment has been ordered, it takes time for the equipment to be delivered to the contractor’s shop, it takes time for that equipment to be installed on site, and it takes time for the equipment to be properly adjusted and refined so that it is ready for your congregation to enjoy it for the first time. (i. e., not the fastest solution). A box of new microphones might arrive in a few days, while your new main loudspeakers may not be on site for six to eight weeks. On rare occasions, there may even be manufacturing delays at the factory that can delay things even further. Once the equipment arrives at your AVL contractor’s shop, a simple project might only take a week to install, while a larger or more complex project might take two, three, even four weeks of steady work to reach completion. I’ve had projects where the installers were on site for nearly three months. It also depends on the installing contractor’s schedule. Understand that they need to fit your install in with other projects that were already in the queue ahead of yours. So what about the church that I spoke with yesterday? Are they going to make it? Is there any hope? It depends. I think they saw the light after I helped them understand the realities involved. So it’s in their court now. Obviously they need to get a designer on board right away, someone who has time to work with them right away, and after that a contractor who has room in their schedule to install the systems. They’re kind of at the mercy of the manufacturers though. You know the sign that says something to the effect “Poor planning on your part does not constitute an emergency on my part”!?! I expect there’s a sign like that hanging in someone’s office of every manufacturer out there. Of course there are lots of good manufacturers out there who will do their best to deliver a timely response. Still, it may cost you, if for nothing else than the overnight shipping fees involved. Ask yourself – do you want to foot the bill for overnighting six 130 lb. loudspeakers?